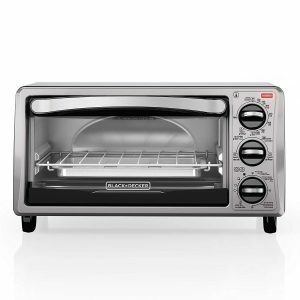 4-Slice Toaster Oven Deal On Amazon! This is the perfect back to college apartment warming gift! College students can make their pizza, toast, and so much more with this device. 9” Pizza, 4 Slices of Bread – The compact toaster oven fits nicely on the countertop, while the curved interior makes room for 9” pizzas and 4 slices of bread.